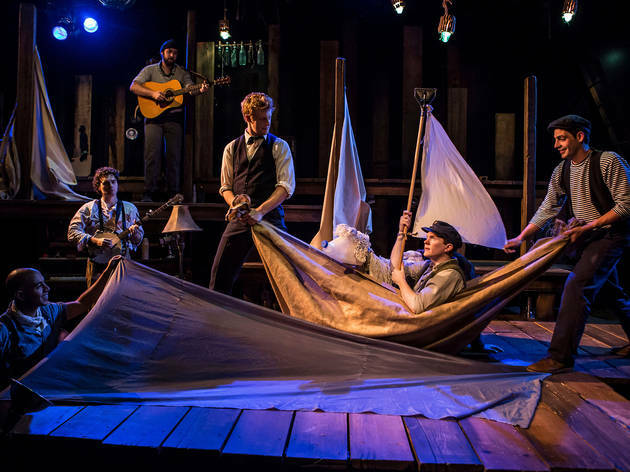 PigPen Theatre Co., a harmonious band of college buddies turned actor-musicians, present the whimsical fable of an old man tasked with restoring liquid light to the old, leaky moon—told through upbeat, indie-folk tunes, puppetry and shadowplay. 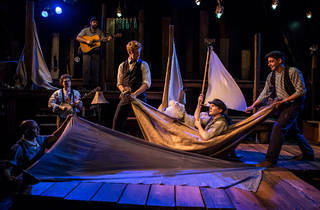 The imaginative troupe of eight brings storytelling to another level, imparting bits of wisdom to young audiences as they follow along on the man's journey to the End of the World in search of his missing wife. Don't miss a 90-minute shadow puppetry workshop inspired by the show, inviting kids to craft and animate their own puppets with help from the theater's Teaching Artists (10/5 at 2:30pm). Ages 7 and up.